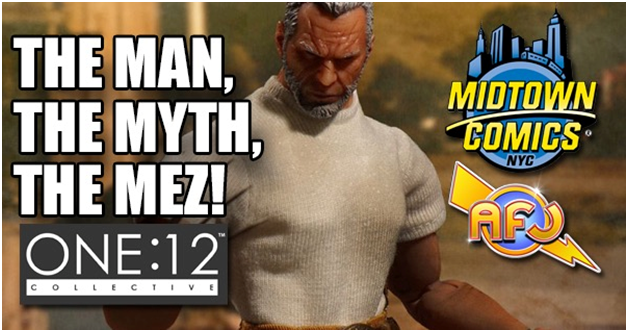 When I receive messages from new Junkies asking what action figure line is a good one to start with, I have found that I am always pointing them to Diamond Select Toys’ Marvel Select line. Why? You simply cannot get more bang for your hard earned buck. DST’s signature oversized library book spine packaging (amazingly helpful for storage) and some of the best sculpts in this price range make the Marvel Select line a must have for collectors. 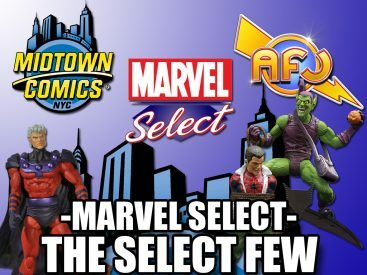 But here’s the kicker: most of them are just $25 on MidtownComics.com making them the ultimate starter kit figures for the “Make Mine Marvel” crowd that is looking for a little something extra in their Select choice. 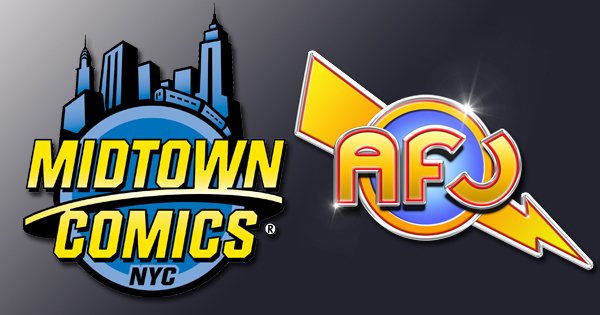 Toy Fair is the Super Bowl for Action Figure Junkies and this year was a big one for AFJ, personally, since I got snowed out two of the four days in 2015. So it was all business for me in 2016 with a solid 16 appointments set up and a madcap schedule for the four day marathon event. By the time I came around to my DC COLLECTIBLES walk-through, I was pretty much spent for the day desperate to take a knee. However, as if the doctor had pulled the paddles out and yelled, “CLEAR! !” to his staff, new life was brought to me in the form of DC COLLECTIBLES’ court jester, Mr. Jim Fletcher. TV BATMAN ’66 TURNS 50! I remember the first time I had watched the live-action Batman TV show starring Adam West & Burt Ward. I was five years old and was completely enthralled at this age of the Caped Crusader. I wanted any and all toys having to do with anything Batman. Now, through the magic of technology, I had a TV show and something to record episodes I missed on. This new gizmo my Dad brought home from NYC was called a “VCR” and Poppa Junkie dropped $800 on it for his growing family.